LAKE CHELAN — Sometimes it’s good to keep tabs on things. That’s what Joel Rhyner and Martha Amrine did with the Lake Chelan Shore to Shore Marathon and Half-Marathon. Amrine had competed in the event’s half-marathon and 10-kilometer runs in the past and liked them. Rhyner thought Shore to Shore had great potential because of the location. 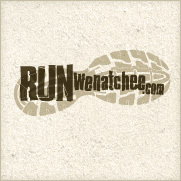 When the race was canceled last year due to the owner’s health problems, Rhyner and Amrine — who operate the River Run and Turkey on the Run races in Wenatchee and the Red Devil Challenge trail run near Cashmere — decided to contact Chelan chamber of commerce officials to see what was up. What they learned was the Shore to Shore’s owner was no longer interested in holding the event. A big opportunity suddenly opened up. “We thought we could do it better,” Rhyner says. “After you’ve run something, it becomes near and dear to your heart,” Amrine adds. So on Sept. 10, the two will embark on their latest venture when the Shore to Shore returns after a one-year hiatus. 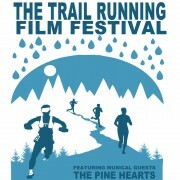 Besides the marathon, half-marathon and 10K, a marathon team relay also is being offered. All the runs offer views of the lake and the North Cascades. “We’re clawing our way back,” Rhyner says. One of the first things the new operators did was check out past reviews of the event posted by runners on websites. They discovered there were issues with the course being marked well and with aid stations being stocked sufficiently. All the races are point-to-point and begin and end in Manson. Shuttles will transfer runners from Don Morse Park in Chelan to the start lines.The marathon and half-marathon routes follow along the lake shore. The courses are considered fast. The marathon also is a Boston Marathon qualifier. Picking up on the region’s growing winery theme, Shore to Shore will present wine glasses to the top three finishers in each age group for each of the races. Amrine believes the event’s location will help it grow in the future.